Fingernail polish! Spots of red at the tips of wing feathers must be oh so fetching to other waxwings. 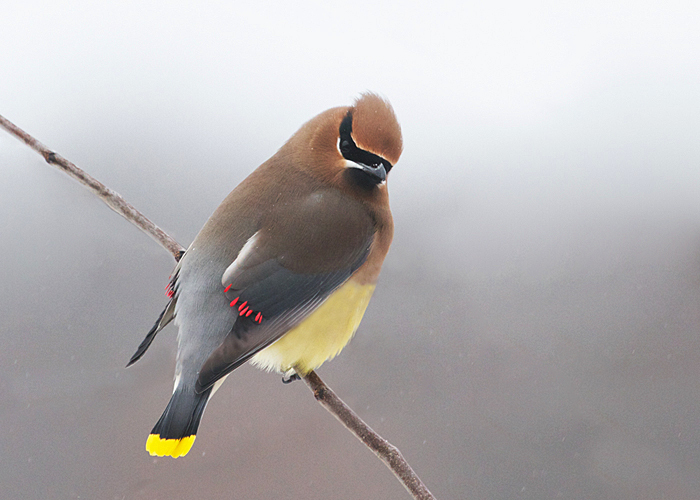 In fact, cedar waxwings are all about dressup, with that sash of wild yellow across the end of the tail and the masquerade-ball mask concealing the eyes. Such a flashy character to brighten frozen Iowa in winter.